Each year throughout April, the new year’s rules and regulations regarding employees are updated and released. This includes changes in employee rights, minimum wages, payslip information, statutory pay and more. 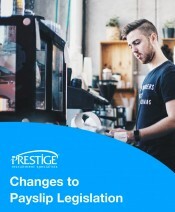 In this blog, we’ll look at the most significant changes that could affect you as an employer or employee this year. 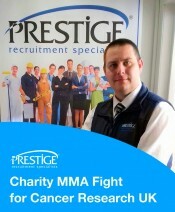 On April 27th Prestige Recruitment’s very own Craig Pickering will be taking part in an amateur MMA fight in aid of raising money for Cancer Research UK. Starting a new job can be daunting – a new setting, new responsibilities and new people! Don’t worry! 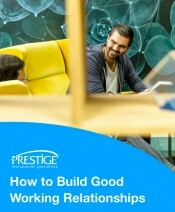 Build friendships, gain the respect of your colleagues and cultivate positive, mutually beneficial working relationships with help from our top tips. 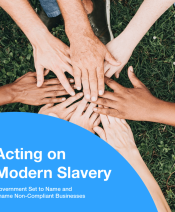 Modern slavery is still a big issue in the UK. Today, thousands of people are being subject to forced labour, abuse and exploitation. In this post, we explore what’s happening, and readdress what we are doing at Prestige to stamp out modern slavery, people trafficking and exploitation forever. 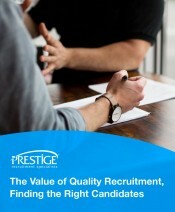 Every business lives and dies on the quality of its personnel, but this isn’t easy. Building (and keeping) the right workforce is one of the biggest challenges facing UK businesses today, and with employment at record levels, and the potential impact of Brexit impacting on the availability of overseas personnel, it’s never been harder. 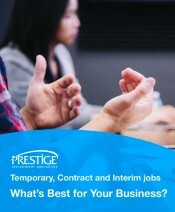 Temporary, Contract and Interim jobs – What’s Best for Your Business? Non-permanent staff are an invaluable part of the personnel mix for many businesses, especially during busy periods and for organisations who depend on seasonal workers. But which type of non-permanent staff is right for your business? 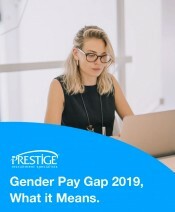 April 2018 saw the introduction of Gender Pay Gap Reporting. Since then, businesses over a certain size have been legally obliged to publish data related to gender and pay. 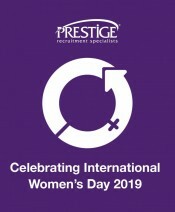 March 8th is International Women’s Day – a global event to celebrate women’s achievements, raise awareness against bias and take action for gender equality around the world. As of the 6th April, 2019 new legislation is to be introduced that will have a major impact on how UK employers provider payslips to both employees and ‘non-employees’. Find out what that means for your business.